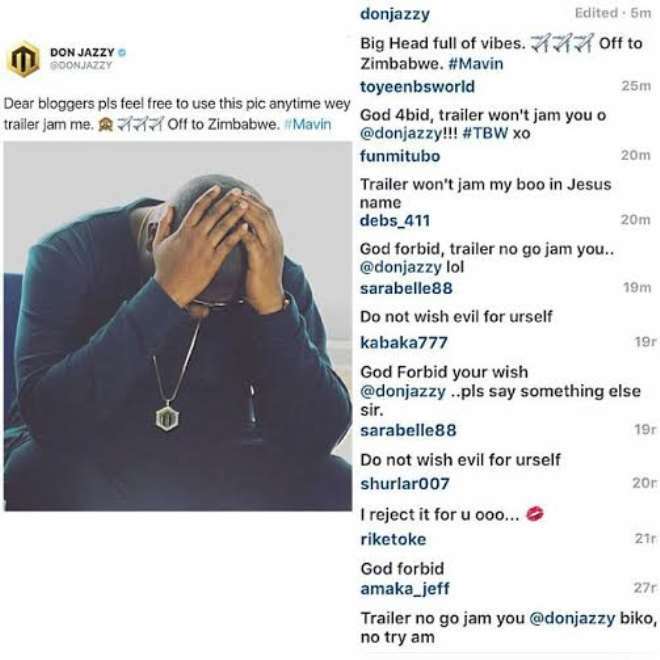 Mavin Boss, Don Jazzy welcomes death to his camp? In the past, we had an evergreen artiste; Da'grin whose death is still very much fresh in the heart of many, despite the fact that it's being years, a great talent was lost. It was said that, he was always talking about death, even sang about it, till he finally met his doom and departed from the face of this earth. Don Jazzy has shocked people many as he purposefully mentioned himself dyeing. It got people wondering that among everything in life, why would such a person wish himself death? Fans took to his page and rejected the wish on his behalf, saying his wish would not be granted, as they cannot afford to lose him. 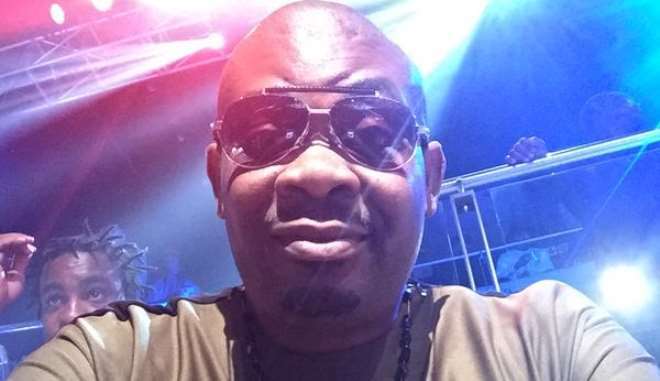 Is Don Jazzy suffering from a disease, or is he aware of dying young? Why did he make such remarkable statement? These are questions that lingers in the heart of many, what do you think he is up to?